Q Carriers Now Hiring CDL-A Regional Truck Driver In The Janesville, MN Area! 100% No-touch Freight! .55 CPM To Start! Q Carriers, Inc. is a solid operation and has been since 1981. We hire the best in the business and inspire their loyalty. We pay a great wage, offer comprehensive benefits, provide continual training and education, and call each and every one of our drivers by name. 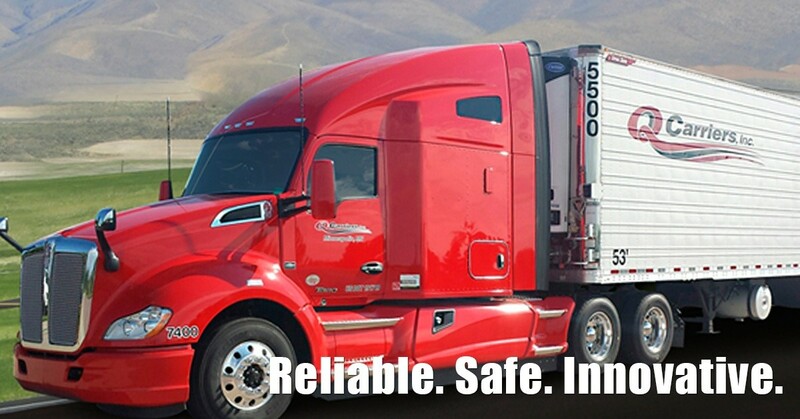 The Q Carriers, Inc. fleet is fully equipped with the most advanced technology, including real-time GPS tracking, e-logs, SmartDrive Cameras and clean energy solutions.